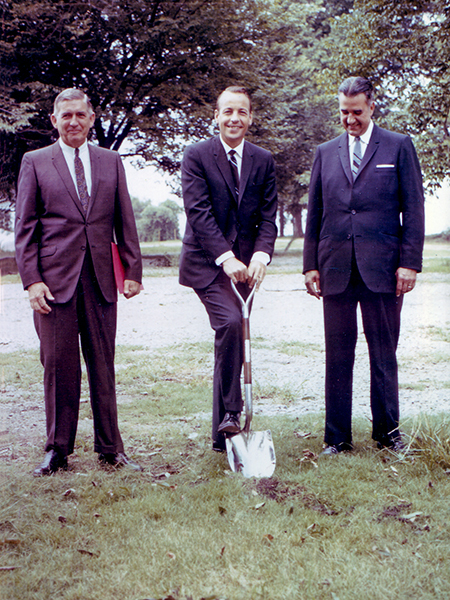 The groundbreaking ceremony for new Basic Health Sciences building, the Medical Center Library, and the School of Nursing at the University of Alabama at Birmingham (UAB) in July 1968. From left: Dr. Joseph Volker, UAB executive vice president; Gov. Albert Brewer' and Dr. Frank Rose, president of the University of Alabama.